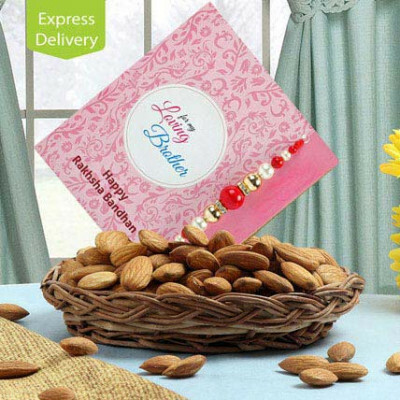 You would get healthy benefits from almonds like combating respiratory disease or losing weight. 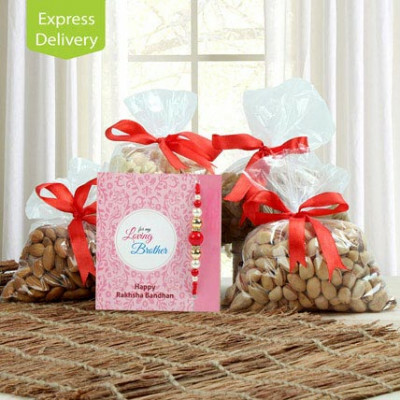 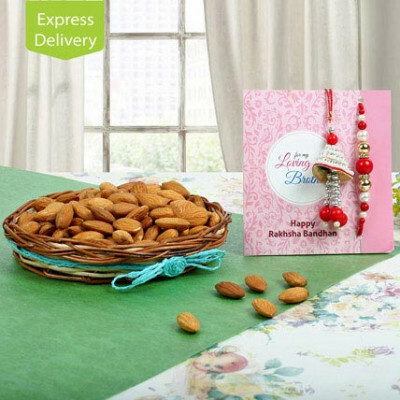 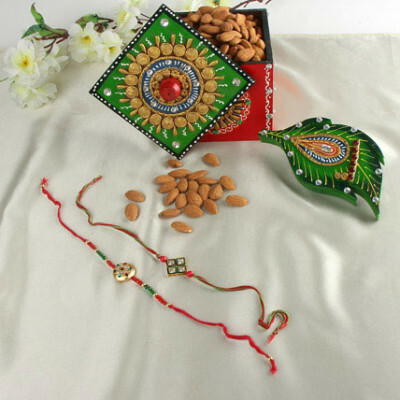 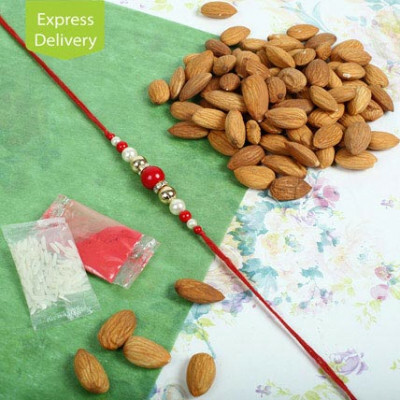 So,..
Rakhi is about wishing good luck to brothers and sisters with some of the best gifts. 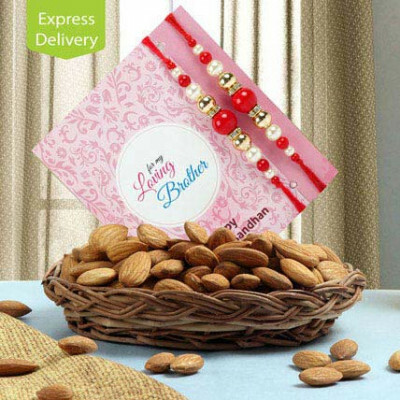 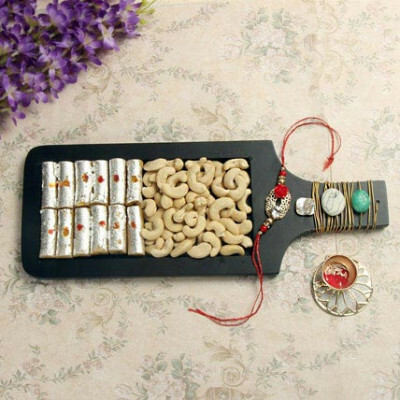 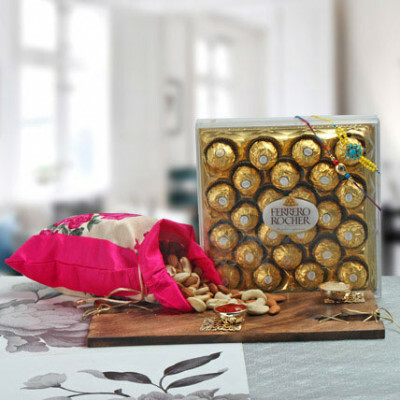 Our assortment..
Give your brother something that he would always be thankful to you. 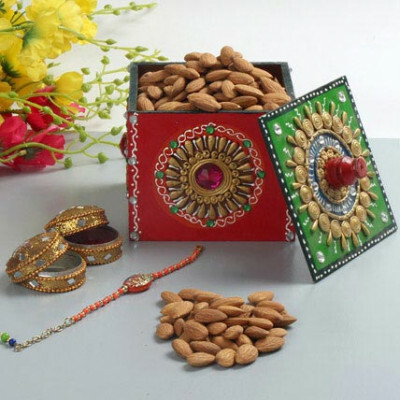 This box full of almonds would .. 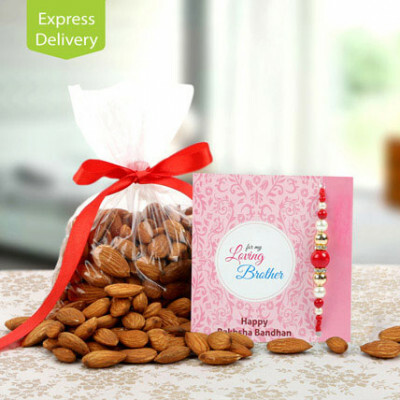 Your brother loves almonds. 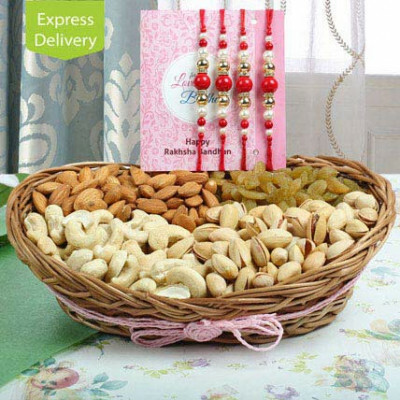 They are the healthy and crunchy start to any day. 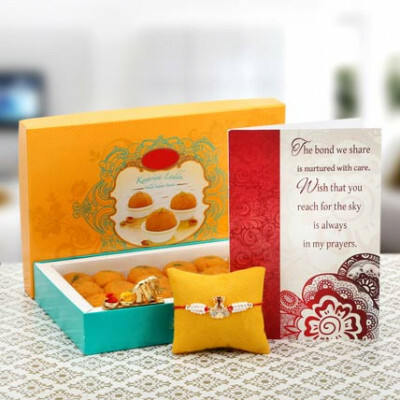 Gift him this basket ..
Gurgaon Online Florist makes a step to bridge the gap between the brother and sister staying away from each other on the sacred festival of Rakhi. 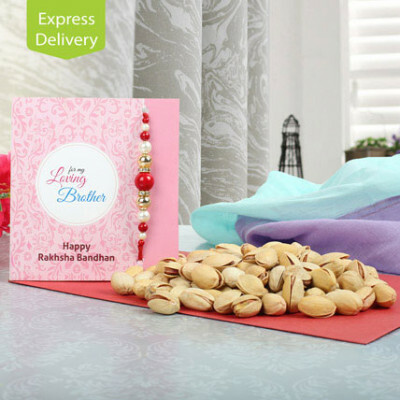 On this special occasion, the hearts of sisters and brothers long for each other. 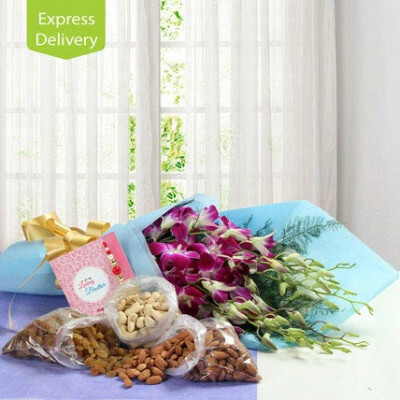 But do not worry, we make your long distanced relationship come shorter with our online flower delivery in Gurgaon. 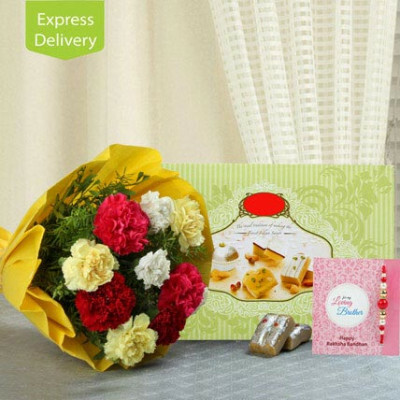 The exquisite bouquets eminently arranged by our expert florists brings the charm in your brother's face.